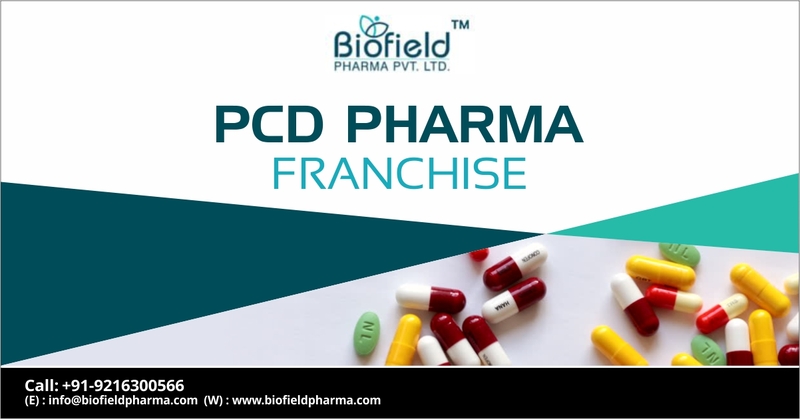 PCD Pharma Franchise in Uttar Pradesh – If you are looking for collaboration with top Pharma Franchise Company in India then Biofield Pharma is the best! Our company is an ISO certified Pharmaceuticals company that deals in high-grade drug solutions. We have fully engaged ourselves in pharma manufacturing and marketing services across India. We are a trusted name in north India which makes us popular in Uttar Pradesh. Spirited and pharma professionals can apply with us for PCD pharma franchise in Uttar Pradesh covering prime locations like Lucknow, Kanpur, Agra, Varanasi, Meerut etc. UP has a large population with an increasing rate of medicines demand. The PCD pharma franchise in Uttar Pradesh brings you better business opportunities. This will help you start your own career and get better opportunities in near future. Biofield Pharma is the reputed name that has been trusted by thousands of people for quality medicines. We have tablets, capsules, injectables, powders, sachets, ointments, creams, soft gels etc. Here you will get the assurance of good scope in different drug market that you choose to become a part. This could be antibiotics, diabetic, cardiology, pain killers, multivitamins, dermatology, nutraceuticals, pediatrics etc. Your demand for quality drug medicines will be fulfilled along with good growth opportunities. People from across northern India are invited to become a part of our company in UP. You can call us at +91-9216300566, +91-9216300166 to connect with us. Know all about PCD franchise near you along with other information like products list, available drugs list, incentives schemes, price benefits, scope in the market and other opportunities. How is Pharma PCD Franchise Business Best For You in Uttar Pradesh? The profit margin in pharmaceuticals business is good. The investment exposure is genuine and reasonable. Demand for medicines is high as they are amongst the essential part of living today. Many people invest in healthcare facilities and services in UP. The north state, Uttar Pradesh has the largest population in India with 100+ million people living there. The healthcare needs have been a sector of government interest. Government is trying to transform the medical and healthcare sector here by establishing better policies and inaugurating multiple public and private hospitals. The demand for medicines and drugs are increasing with each passing year. The economy is fascinating and for those who want to start their own business, PCD franchise is the best. People are slowly taking initiatives to spend on their health care demands. Nearby places and towns are dependent on prime locations for better quality drug formulations. This makes PCD franchise a better business deal for all those who want to have a settled future. You will be offered a reliable marketing strategic support by the company. You can invest flexibly according to your plans. The increasing number of healthcare services and government initiatives. You will be supported through promotional tools like visual aids, details products list, diaries, prescription pads, chemist books etc. We keep our associate updates with all the latest launch and information. The rates of each drug and its types are priced genuine. Comparing to our competitors we bring you better deals of profit margin on sales. Monopoly rights are exercised by our members of PCD franchise in UP. We have our manufacturing units established in Excise Duty free zone. So, tax concessions can be enjoyed by our associates. Multiple logistic partners are assigned by our company. This is done to meet our requirement for reliable and fast distribution networks. The better scope of expansion and earning capabilities for our PCD franchise associates. Our company looks for new members in UP. If you think you have the conviction then join us in our venture. Pharma professionals, distributors, wholesalers, chemists, agents etc are welcome to become a part of our company. Major cities like Kanpur, Lucknow, Agra, Ghaziabad, Varanasi, Allahabad, Meerut, Bareilly etc. We have covered all the divisions of Uttar Pradesh. If you are looking for PCD franchise in any of these places then contact us now for more details.